Regulators around the world are looking to regulate digital assets and cryptocurrencies. Last Thursday, during Hong Kong FinTech Week 2018, The Hong Kong Securities and Futures Commission (“SFC”) Chief Executive Ashley Alder announced they will propose a new regulatory regime through a “sandbox”. According to Alder, the SFC will set out new rules under which all funds, which involves invest ments of more than 10 percent of a mixed portfolio in crypto assets, will have to comply with, whether or not those crypto assets are securities. For more information, you can read the following blog posts: The New Regulatory Framework for Crypto Funds in Hong Kong: 10 Things You Need to Know and The New Regulatory Framework for Crypto Exchanges in Hong Kong: 10 Things You Need to Know for a comprehensive summary. HK based social e-commerce startup Goxip raised US$1.4 million investment from financial services company Convoy, existing backs include Chinese photo app Meitu. Goxip said it will use the capital and the new relationship with Convoy to offer more installment-based financing options on its service, which is akin to a ‘shoppable Instagram' that has a focus on high-end fashion. With 600,000 monthly users and average orders of $300, Goxip is getting close to breaking even, Gimenez said, but she is hopeful that offering staggered payment options over varying periods such as 6-12 months will serve Goxip well as it expands in Southeast Asia where typical consumers spend less. In March, the government injected US$5.1 billion into HKSTP, with US$1.3 billion of that money reserved for supporting tenants and facilitating the overall success of the science park. 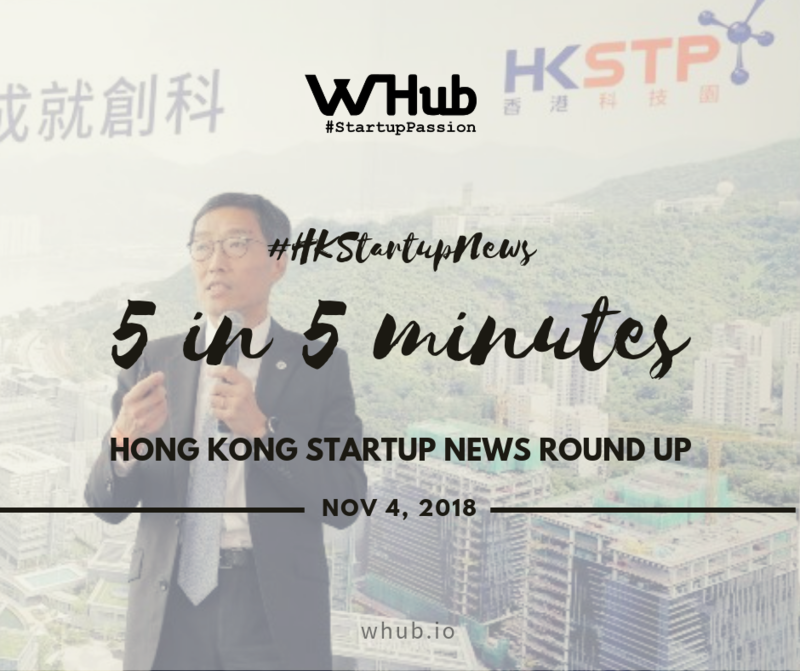 On Tuesday, HKSTP announced exactly what it intends to do with the money, and startups are set to receive significant benefits. “The time is now for us to capture the global opportunities and make Hong Kong truly competitive on the I&T landscape,” said Albert Wong, the CEO of HKSTP at a press event. “We must leverage the core strengths and strong fundamentals that Hong Kong enjoys as an I&T hub, to build the critical mass that can eventually attract more technology companies, talent and investment to our shores,” he said. DBS in Hong Kong is taking a long-term view of the startup ecosystem, setting up a programme for young fintech companies to work in tandem with the bank on innovative solutions that address distinct business problems. Rolled out in both Hong Kong and Singapore, Startup Xchange is designed to exclusively match the bank’s problem statements to fintech startups. DBS says the model allows startups to tap into the bank’s networks to build a sustainable business over time and reference the bank as an anchor client while raising funds. The Hong Kong Stock Exchange (HKEX) has teamed up with distributed ledger startup Digital Asset to develop a blockchain platform for post-trade processing. The two firms are exploring the development of a blockchain-powered platform for HKEX's Northbound Stock Connect program, a spokesperson for HKEX told CoinDesk. The news comes after HKEX revealed in March that it was looking to follow the Australian Securities Exchange (ASX) in putting settlement transactions on a blockchain-based platform. Notably, Digital Asset is also developing that platform as part of a plan to replace the ASX's ageing CHESS clearing house system by 2021.